Description: Aico Villa Valencia Collection. The look and feel of Old World Spain have been beautifully captured in this grand, designed exclusively for the Michael Amini Original Furniture Designs. 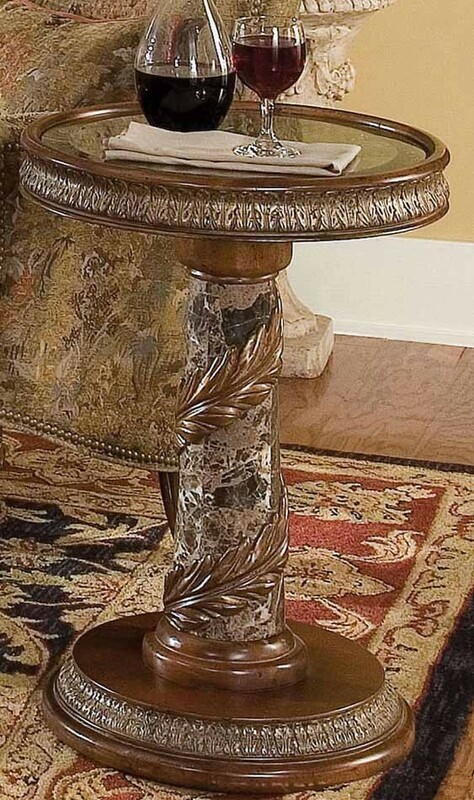 This wonderful Chair Side Table can be used with the Villa Valencia Collection as well as with any room that you want to make just that more special. Shown in Classic Chestnut Finish. Birch Solids w/Cherry, Pecan, and Elm Burl Veneers.